엔조의 민자반지는 재질, 형태, 반지의 폭에 따라 다양하게 제작됩니다. 반지의 폭에 따라 3.0mm~6.0mm 로, 그리고 반지의 형태에 따라 둥근형태인 '라운드 민자반지'와 평평한 형태인 '플랫 민자반지'로 나뉩니다. 추가로 다이아몬드를 셋팅하거나 이니셜을 새기는 등 자신만의 반지를 만나실 수 있습니다. 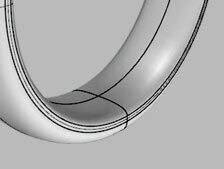 Enzo private Rings are manufactured to vary the width of the material, shape, ring. With 3.0mm ~ 6.0mm, depending on the width of the ring, and is divided into a round shape depending on the shape of a flat ring shape and 'round private Rings'' flat private Rings. In addition, you can set a diamond ring or meet their own, such as carving your initials. 남자반지는 4.0mm 폭이 적당하며, 한국사이즈 20호 (US 10호) 이상이시면 4.5mm를 권해드립니다. 넓은 폭의 반지를 좋아하신다면 5.0mm 이상을 선택하시면 됩니다. 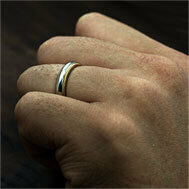 The most commonly ring is 3.5mm Male 4.0mm ring. If a woman is most suitable ring to 3.5mm. South Korea is the ring size Size No. 6 (US No. 3) If this is an under 3.0mm was also OK. While you can wear comfortably, and 4.0mm wide ring man seemed appropriate, Korea than size No. 20 (US 10 issue) If this is an'd recommend the 4.5mm. 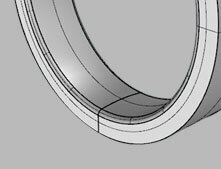 If you like, you can select a wide ring of more than 5.0mm. Couple rings in wide width you choose is suitable coupling ring girl ring 5.5mm Male to 6.0mm. If a woman ring size No. 14 (US No. 07) If this is an'd recommend the below 5.0mm.